This truly trendy trullo villa (sleeps 6-8) combines amazing original features with a fresh and funky interior which is as inspiring for grown ups as it is fun for kids. 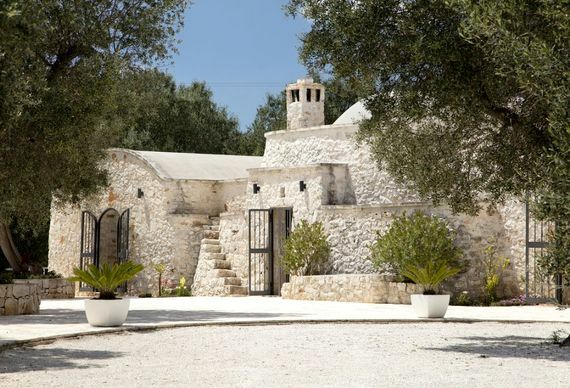 The owners, the Massey family from London, transformed Trullo Fico in 2009, really doing an amazing job as the property had been empty for thirty years! 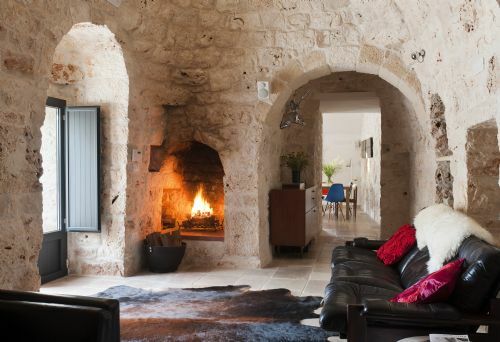 Distinctive original features such as the conical ‘bee-hive’ barrelled ceilings and archways were restored to become focal points of the interior design, with striking modern art and stylish soft furnishings looking great against the rustic whitewashed walls. A family themselves the Massey's have incorporated all the mod cons and thoughtful added extras required for a totally relaxing family holiday. Tardis-like, there’s more and more to Trullo Fico around every corner. Through one archway you’re in the 1950’s snug, complete with a cosy log fire, Danish leather sofa and retro teak armchair, a book library, flat screen TV with movie library and a 500w Teac Hi-Fi with digital radio, CD player and iPod dock. Turn through another arch and you could be in one of the three double bedrooms with designer touches including an Eames rocking chair, Tom Dixon Jack Lamp and Kartell Componabili bedside cabinets. 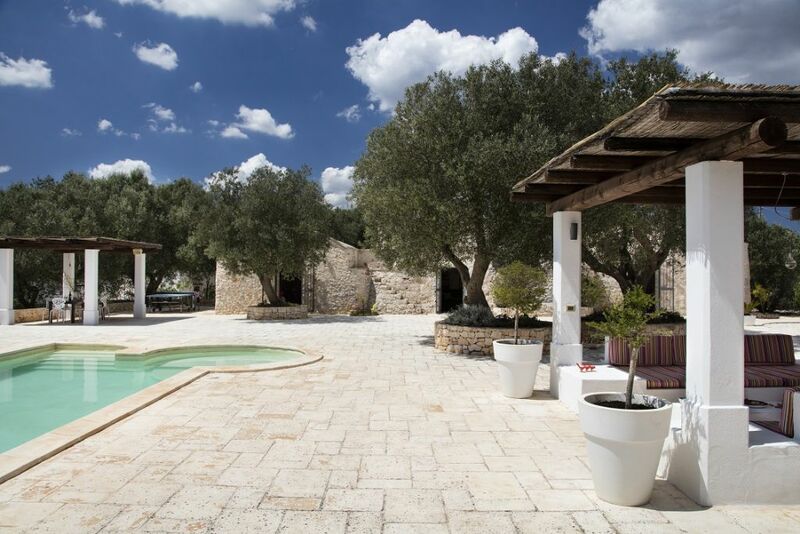 Of course, located in the sunny Puglia region of southern Italy, the outside is every bit as important as the interior and Trullo Fico is just as enticing on this front too. 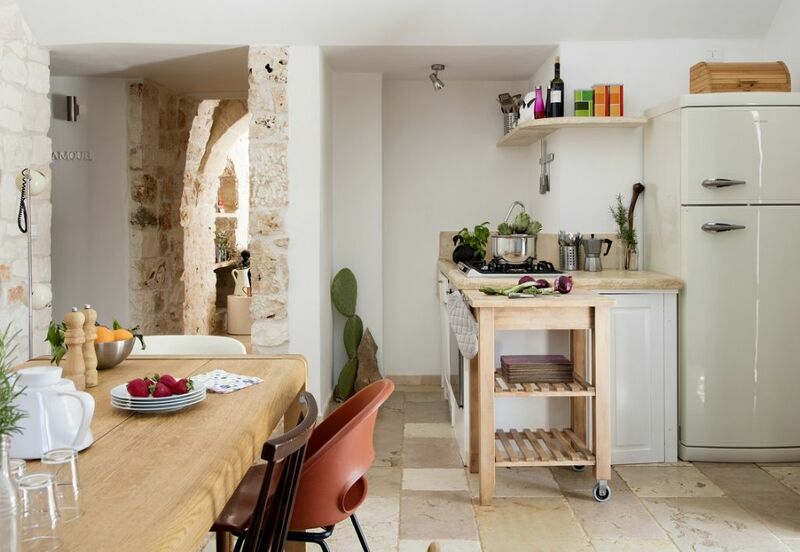 The villa is set in 3-acres of grounds which are filled with olive and fig trees,the latter of which guests are welcome to pick when ripe as the perfect accompaniment to the tasty local cheeses. There’s an attractive white stone patio area with plenty of loungers and space for making most of the sun. The inviting private pool (unfenced) is bound to be a big hit with the whole family. It's perfect for cooling off and there's even a bubbling jacuzzi section to makes it extra special. A funky cushion benched seating area with gazebo provides welcome shade in the day and a pretty spot for pre-dinner drinks in the evening overlooking the garden. For alfresco dining there's a covered outdoor dining area, with seating for eight complete with a BBQ and hidden speakers to listen to your favourite tunes on balmy Italian evenings, piped through from the high spec music system indoors. 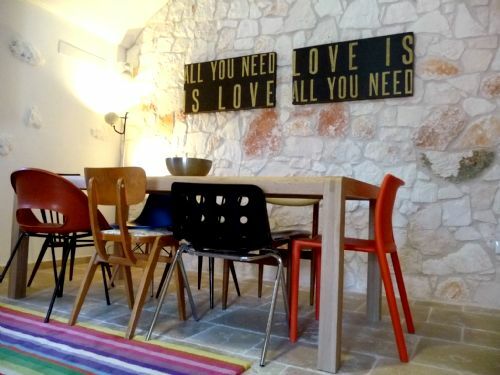 Trullo Fico sleeps 6-8 guests, in three, air conditioned, double bedrooms plus pull-out beds/cots available on request. Overlooking the patio and pool, the sunny 'white bedroom' is the largest, with a double bed, triple wardrobe and antique chest of drawers, an Eames rocking chair and Tom Dixon Jack Lamp. 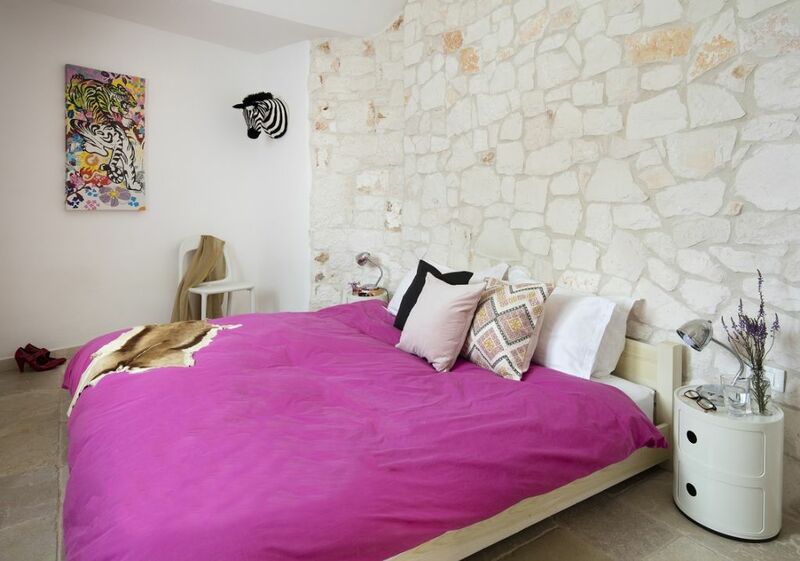 The bedroom next door can be arranged as a twin or double, with fun, colourful decor making it suitable for children but also a retro feel that appeals to adults, with Kartell Componabili bedside cabinets and a double wardrobe. 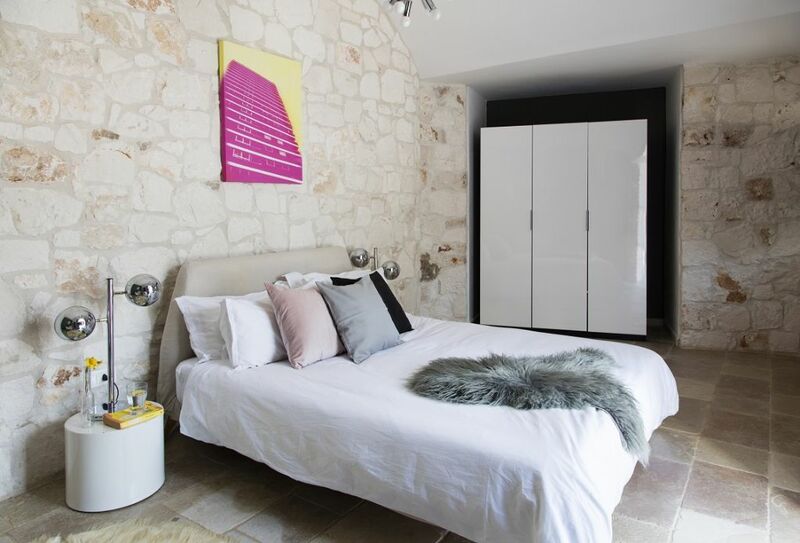 The third bedroom, known as the 'orange bedroom', has views to the rear of the house, with funky artwork, double bed, mirrored bedside tables, double wardrobe and an ensuite wetroom. 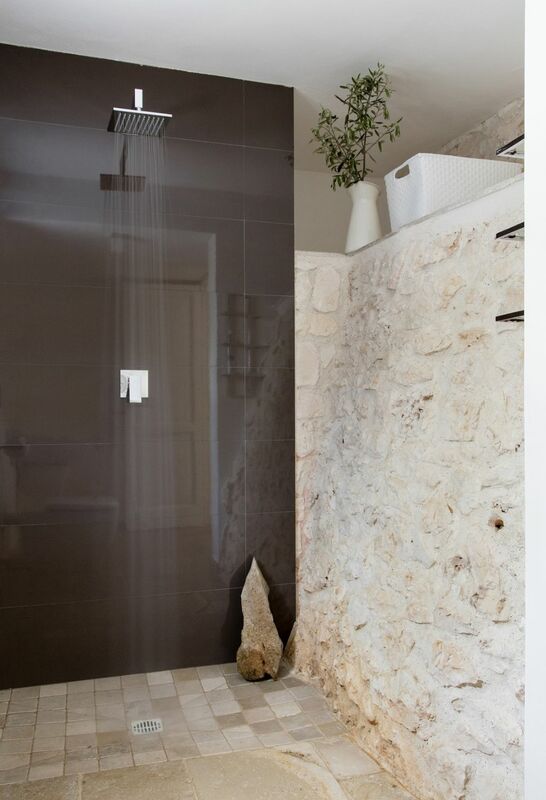 Besides the bedrooms, Trullo Fico has a second wetroom, two reception rooms, a well equipped kitchen and a utility room with a washing machine. 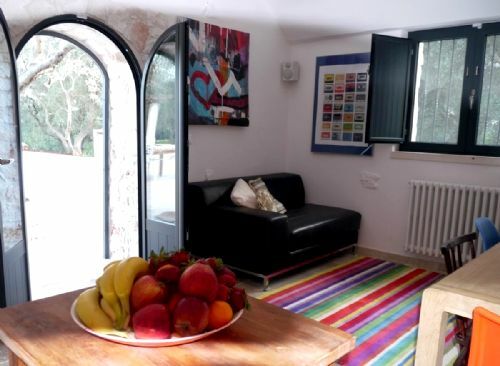 The villa is just as well equipped for off season stays as it is for summer breaks. There's instant central heating, a log fire and double glazing. Daily cleaning and catering can be arranged on request. Located in the ‘heel’ of Italy, Puglia has miles of unspoilt coastline along the Adriatic and Ionian Seas, both an easy drive away. This region is covered in olive groves and vineyards, pretty towns and interesting sites. The food is delicious with fresh seafood, fantastic antipasti and wonderful pizzas readily on offer, all of which can be washed down with great local wines. 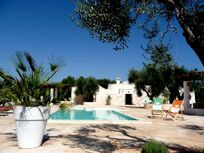 Trullo Fico is 5km from wonderful shops, eateries and bars which populate baroque Ostuni and 'off-the-beaten track' Ceglie Messapica. 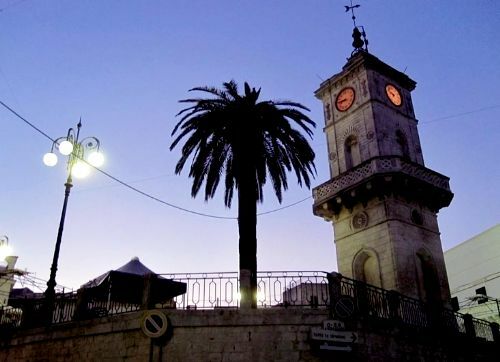 The towns are situated on top of a hill with beautiful views across the Itria Valley, with historic centres dating back centuries. All have wonderful old cobbled streets and fascinating architecture, so when all that wandering has worked up an appetite, you will be well rewarded with plenty of the local delicacies in the many local restaurants. Ceglie has a supermarket stocked with all the basic groceries, but there's much more exciting wares to be sampled at the Ostuni market every Saturday, from 7am until 1pm. For special evenings out the villa manager Mimmo is very well connected with the local restaurants and can assist guests with choosing the best places to eat and making reservations. There is a wonderful Michelin starred restaurant called Al Fornello Da Ricci five minutes from the property. 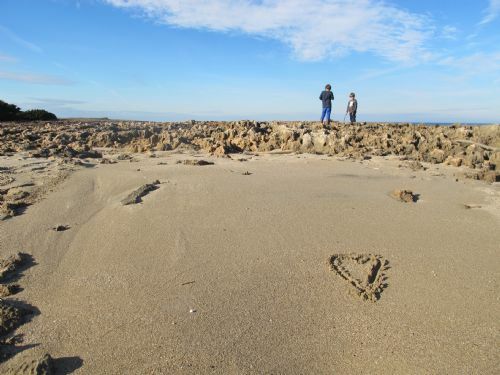 The closest beaches are at Ostuni and Torre Canne, and are just a short drive away. There are public beaches are free to access and some have cafes and restaurants backing onto them. 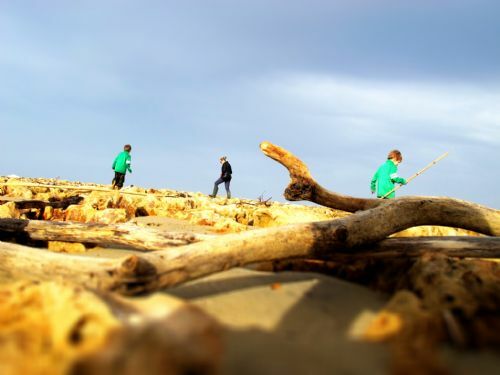 There are also miles of ‘lidos’ – managed areas of beach where, for a small entrance fee, there's access to family friendly services such (covered parking, loos and showers, bars and restaurants, umbrellas and sunbeds for hire, and lifeguards). Pilone, Lido Bizzaro, Lido Boscoverde and Lido Morelli are all excellent beaches. The owners have also found a couple of beach clubs, from the very swanky to a more budget conscious - great places with lots of kids activities, restaurants and often a pool as well as the beach which they will happily recommend.The nature reserve at Torre Guaceto has a long sandy beach and some great shallows which are perfect for small children to play in. Between June and September there are guided snorkelling trips on Thursdays and Saturdays. Getting There: The villa is 40 minutes drive from Brindisi airport, 75 minutes from Bari and about three hours drive from Naples. Car hire is essential. 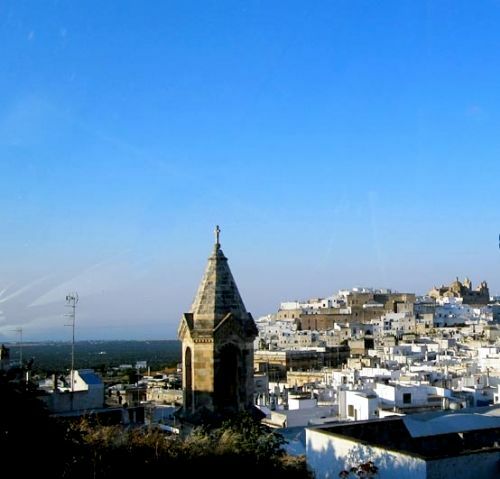 We love Puglia becasuse of the amazing architecture, history, culture, charming people, wonderful food and wine. 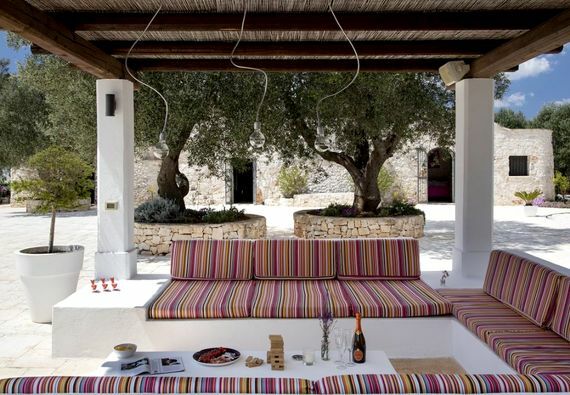 These elements, in a beautiful rustic setting dominated by olive trees and still that innate style Italy is famous for! The fact that tourism is low-key and less commercial is particularly appealing, especially in the peak tourist season. A search for the annual rude postcard for my brother drew a blank, something I was very pleased about! 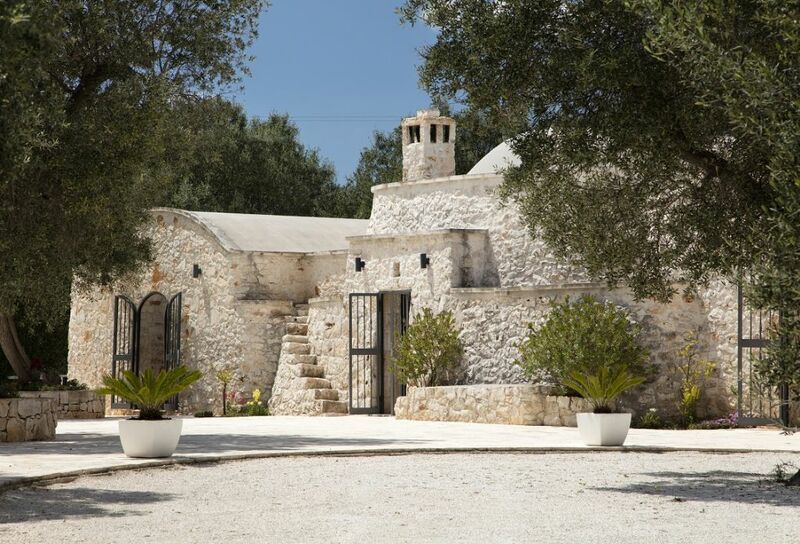 We fell in love with Trullo Fico for its history and location. It is a traditional, original stone Saracen Trullo with two newer lamia (vaulted rooms) attached either side. The simplicity of the materials belies the craftsmanship within the building. The stones have definitely got lots of stories to tell. 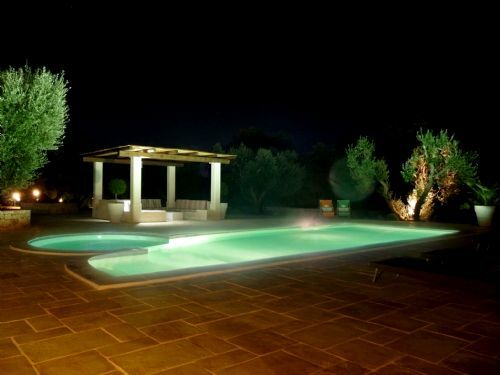 The villa is 40 minutes drive from Brindisi airport and 75 minutes from Bari airport. The coast is just a short drive away. The villa's lovely private pool has wide Roman steps, ideal for sitting and splashing with little ones. It is unfenced and unheated but there is a Jacuzzi section. General kids toys are provided, along with a movie library with family favourites. Adults will appreciate the new in house ipod. 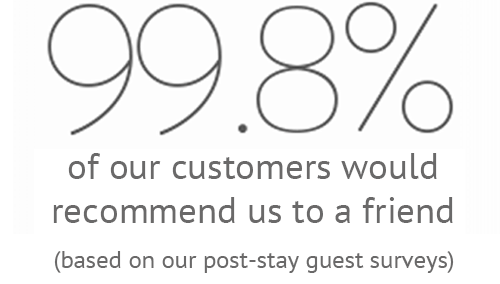 Catering is possible by prior arrangement (or arrangement during the holiday, subject to availability). Outdoor toys provided include ride ons, a trampoline, paddling pool, basket ball hoop, beach toys and all weather table tennis table with bats and balls. bulbs where possible, has double-glazing and guests are encouraged to recycle. There is a working fireplace in the snug, perfect for low season stays. Lovely place to stay, very well thought out. Interior very stylish. Great outdoor space. Jacuzzi pool area perfect depth for the little ones. Good guides to local area and towns. Very relaxing 2 weeks had by all! The property has been very well designed to accommodate a family or a larger size party, there is a great use of the internal and outdoor space and there is plenty of room to relax and sit together. 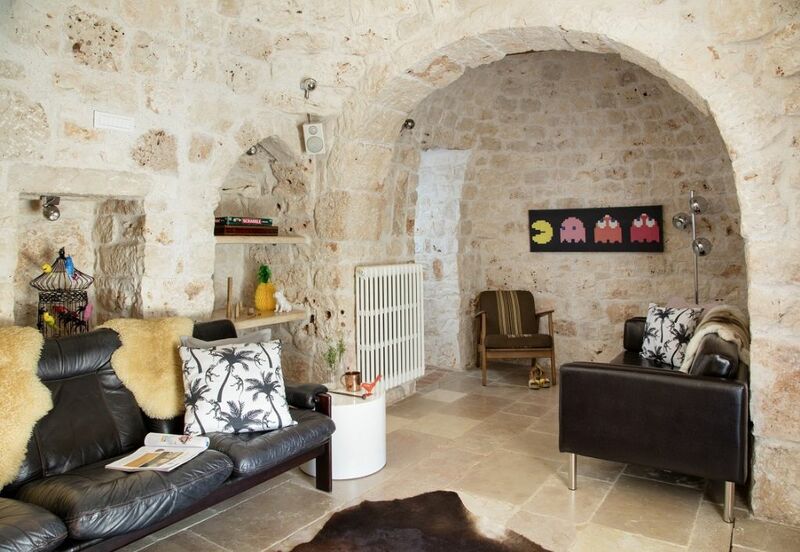 The property is well catered for children with a range of toys and a great selection of digital videos. I would thoroughtly recommend Trullo Fico for a wonderful italian experience in luxury villa accommodation. Lovely accommodation beautifully renovated. Great grounds and fab patio area with table tennis, basket ball, swimming pool, bbq and range of seating areas. Our two young boys just loved the covered seating area to escape the sun! Our children are slightly older now (8 & 11) but this is a gorgeous property inside and out and it suited our family perfectly - with lots of space, a fantastic pool and lovely shaded outside seating areas. As well as being seriously stylish the house is very comfortable and well equipped. 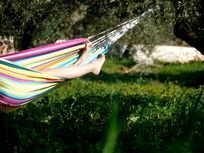 The owners and their local manager Mimmo go out of their way to make sure you have everything you need for the perfect chill-out holiday.